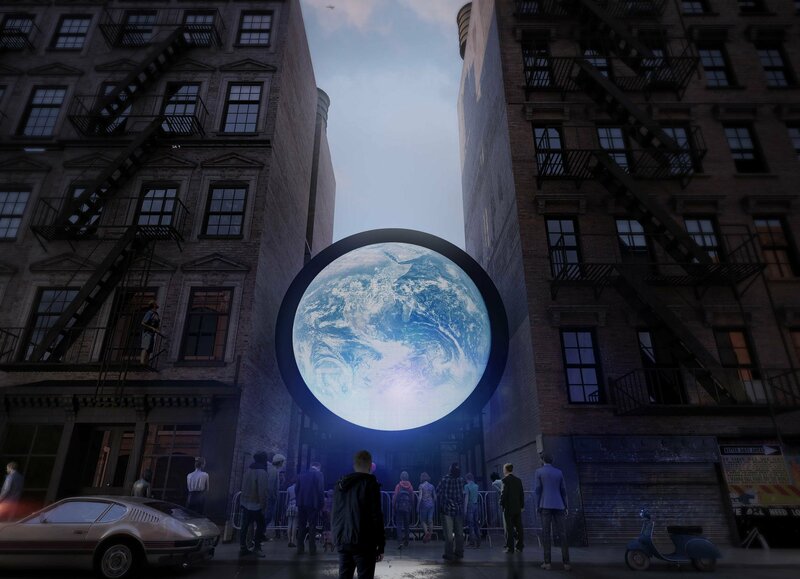 FRAME captures Blu Marble the spectacular video sculpture by Sebastian Errazuriz with a video stream of the Earth from a NASAsatellite in space. “Blu Marble – state the artist – is a reminder of our miraculously fragile existence. It places our very existence in perspective at a global level – as a tiny spec in space – beckoning us to live fully with awareness and mindfulness of our limited time on this vulnerable and beautiful planet”. The project is part of a new campaign, Pledge World by blu. Il was launched by the Richard Taittinger Gallery on March 13, 2019, and it is on view for the time frame of one month. For one night only, there will also be a neighborhood display in cooperation with the New Museum where blu Marble will transform the Manhattan Skyline.